Canada is a great destination for those seeking immigration. It has a vibrant culture, the career opportunities are myraid, and even in the cold weather the people are immensely warm. But, do you know, every year thousands of visa applied from india are rejected? That means only a few applicants actually make it to Canada for higher studies. These are the most common reasons for visa rejection given by the Canadian Embassy. Do these words sound familiar? Have you also faced the same issue? Has your visa also been rejected? Many times, refusal happens when the right set of documents had not been submitted. Most agents simply submit your profile to a University, without even going through your IELTS score, previous education details, choice of course and funds availability. Like when you submit your application for studying at Quebec, you also need to submit Certificat d’acceptation du Québec (CAQ). This certificate is a must for anyone going for higher education in Quebec, Canada. Or when you mention your sponsor in Canada, you need to provide a detailed information about them. Poor documentation is a prime reason, as is over explaining your case when it is not required. Readdressing a refusal case is not difficult, when it is done in the right manner. Every day at my office, there are meetings with students having refusal cases, a lot of whom are actually bright and promising candidates. They just need the right step and direction, to secure a bright future for themselves. Worry not – Canada Visa could be yours and you could be on the right track for achieving quality life, having delicious Langar at a Gurudwara in Brampton and playing ice hockey in your free time. Do not give up hope just because your visa got refused – it may go through soon. HY, My name is Anshu SIngh and i am from New Delhi. I am want to ask about the fee structure of Canada for bachelor course and the living expenses also. Please inform me my contact no. is 9718603315.
im really impressed to know your work. 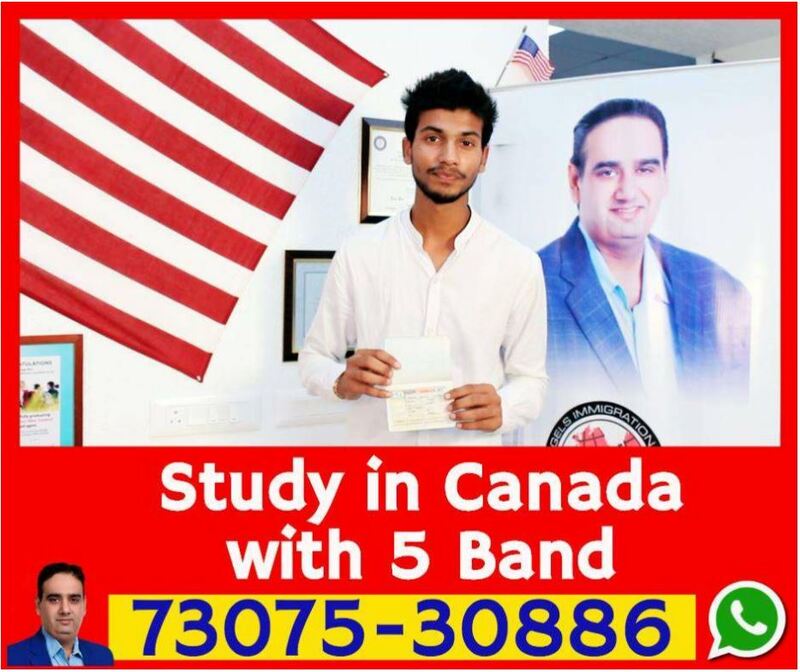 hello sir my name is vishal im interested to going canada but unfortunately i got 5 band is this possible to going canada for 5 band. hi, I got 6 band overall and 63 percent in academics from cbse board in commerce stream. but unfortunately, I got refusal for Jan intake. can you please tell me that can I reapply for may intake. please reply me.